I love children’s books. Hopefully, I have used them to instill in my children a love for reading. I copied this meme from Bayou Quilts. Thanks, Jen. 1. Name your 3 favorite children’s series. Mercer Mayer’s series on fear and nightmares; There’s an Alligator Under My Bed, There’s Something in the Attic, and There’s a Nightmare in My Closet. Beverly Cleary’s series on Henry Huggins, a kind hearted boy and his lovable friends in the late 50’s Mid-West. 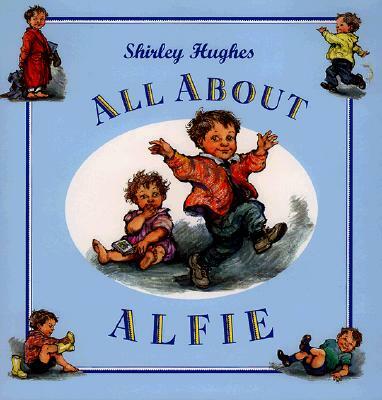 Shirley Hughes’s series on Alfie and his baby sister, Annie Rose. 2.Name your 3 favorite non-series children’s books. Irene Hunt’s Across Five Aprils; Young Jethro Creighton grows from a boy to a man when he is left to take care of the family farm in Illinois during the difficult years of the Civil War. Margaret Rostkowski’s After the Dancing Days; A girl comes to terms with the effects of war as she ministers to a soldier just returned from World War I.
Oh, some new ones! Jotting down more titles… Love the pictures of the covers, Deb. Thanks for sharing! 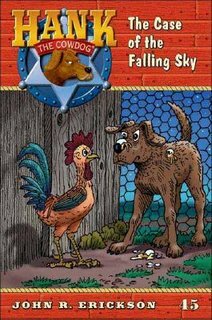 Deb, I love the Hank the Cow Dog series – as much fun for adults as they are for kids. One of my best friends and I took her grandson on vacation with us one summer and I read Hank books aloud to keep him entertained. Sandy and I enjoyed it every bit as much as Stephen did!